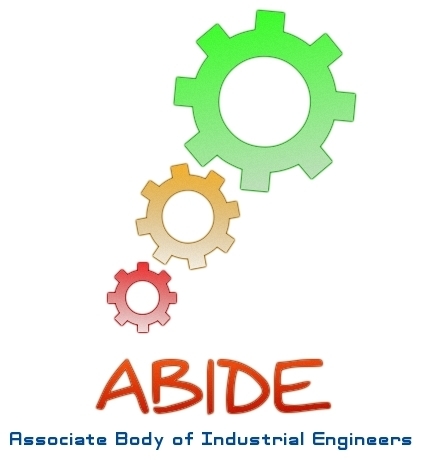 Founded and headed the student chapter ABIDE (Associate Body Of Industrial Engineers) in the Industrial Engineering & Management department of the college. This involved organizing various technical seminars, cultural events and fund raising. It took sizable amount of leadership skills and team work. Studied an established organization as whole. First hand experience in coordinating various purchase, storage and selling activities at the organization. Prepared appropriate project report on the topic of "Organizational Analysis". Worked alongside employees and higher level management to learn and take part in the flow of business. Simple, practical, ambitious, Creative, results-focused person with a flare for leadership in increasing efficiency, cutting costs, and streamlining processes. Strong writing, editing, communication, and teamwork skills. MISSION ( Short Term): Maximize opportunities and arenas of putting academic knowledge to use. VISION (Long Term): Holistically develop as an individual and contribute to the society by what ever means possible. My interests include swimming, drama, writing fictional short stories and essays, reading novels, organizing any event related activity in college or among friends. Another interest is searching for new and creative activities to experiment with. "Dumb Charades" 1st and 2nd place in various college throughout the four years. 2nd place in "Quiz" at the event "InQuizit". 1st place in "Stress Interview" conducted in RV college of Engineering. Taken part, with immense interest, in an assortment of events at various inter-college competitions. Have done voluntary community service and also have donated blood during blood collection drives.